So excited to show you what I've been doing for a couple past weeks. 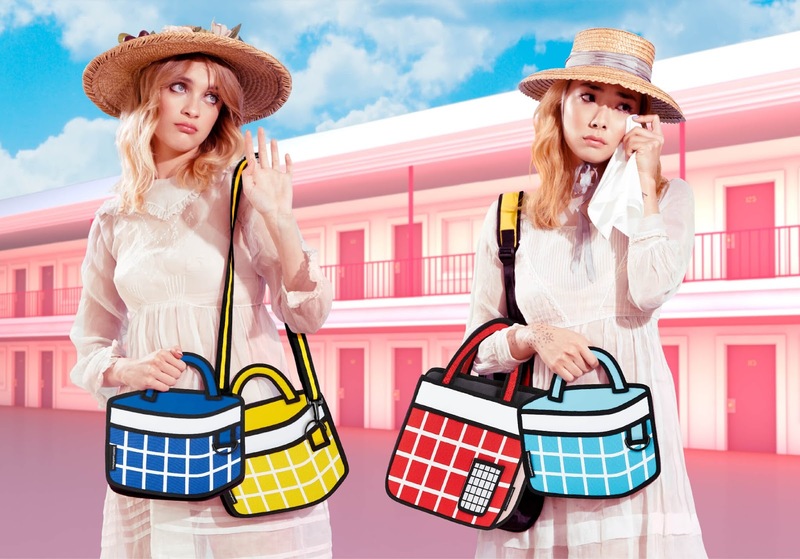 In collaboration with JumpFromPaper, I've always wanted to own one of these cartoon bags to steal everyone's attention. The Taipei-based fashion accessory brand is designed two-dimensional perspective and inspired by "Kids of The Internet Age". 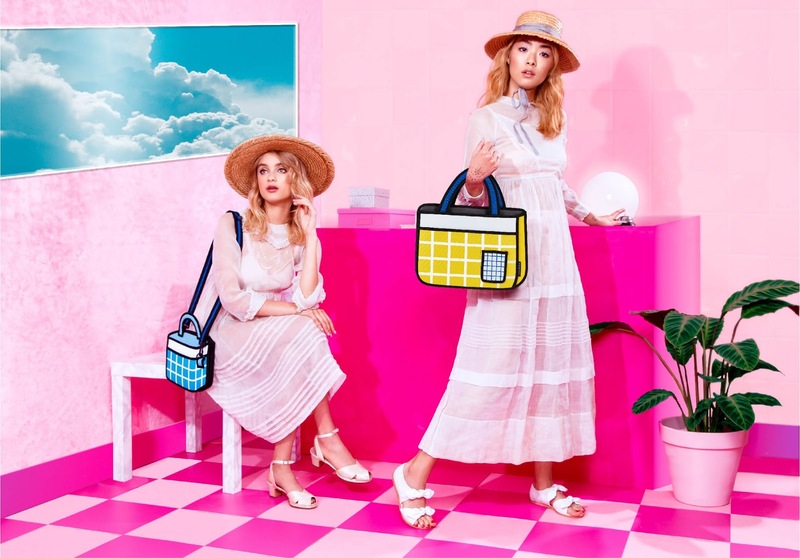 The ones that I got are from their Dreamy Picnic 2016 SS collections, which is inspired by the geometrics grids of spring picnic blankets and pool tiles. Find your favourite cartoon bag from roomy totes to backpacks at JumpFromPaper.com for the perfect companions for the warm-weather adventures! So in love with this tromp d oeil style bag! Love the way you have styled it and the campagin photos are also so lovely! Love the bright pop art colors.